Fondant can be tricky, not all types are very tasty. If you have never tried to make your own to add your own ingredients and flavor you don’t know what you are missing. The same can be said for marshmallow, if you have never tasted a homemade marshmallow… again you don’t know what you are missing. So…what happens when you combine the two? 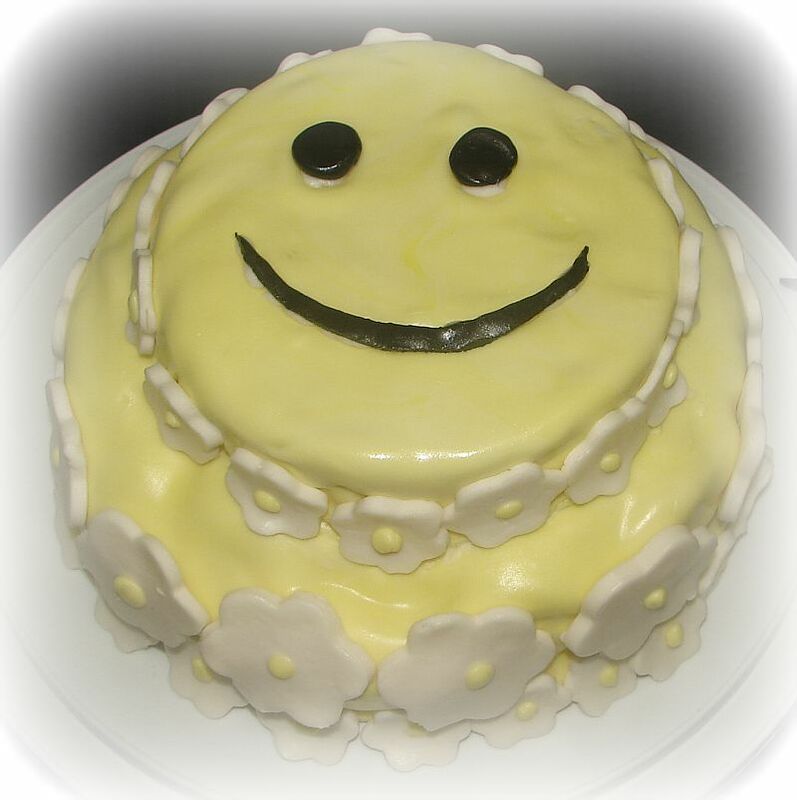 Amazing fondant that is just as beautiful as it is delicious, also easy to work with. First you start with a homemade marshmallow recipe, then instead placing it in an airtight container to sit overnight, you simply immediately add other ingredients to make it fondant. A delicious way to top a cake or cupcake! First you will need a small 2 qt pot, candy thermometer, stand mixer with a whisk attachment, and parchment paper and non-stick cooking spray. Place gelatin packets and 1/2 cup water into the bowl of standing mixer and let sit. After about five minutes it will look like this. Meanwhile attach the candy thermometer to the side of the 2 qt pot low enough to submerge the sugar, but not touching the bottom of the pan. Place sugar, 1/2 cup of water and corn syrup to pot and slowly bring to a low simmer in medium heat. Once mixture is simmering, slightly increase to med-high heat. Watch carefully for mixture to heat to 240 degrees F, or soft ball stage. Once sugar reaches temperature, remove from heat. Add salt and vanilla to gelatin mixture, then slowly with mixer on medium speed add cooked sugar to gelatin mixture keeping a steady slow pour, the stream should be the size of a pencil. Once all is added, increase the speed to high and beat for about twelve minutes. After about 12 minutes you will have the resemblance of marshmallow cream, cause it is! Normally if you were making marshmallows, you would then place this in a airtight container for at least 8 hrs to set. Since we are making fondant you can immediately place in a bowl with 2 cups of confectioners sugar, 1/2 cup of water and 1/2 cup of vegetable shortening. 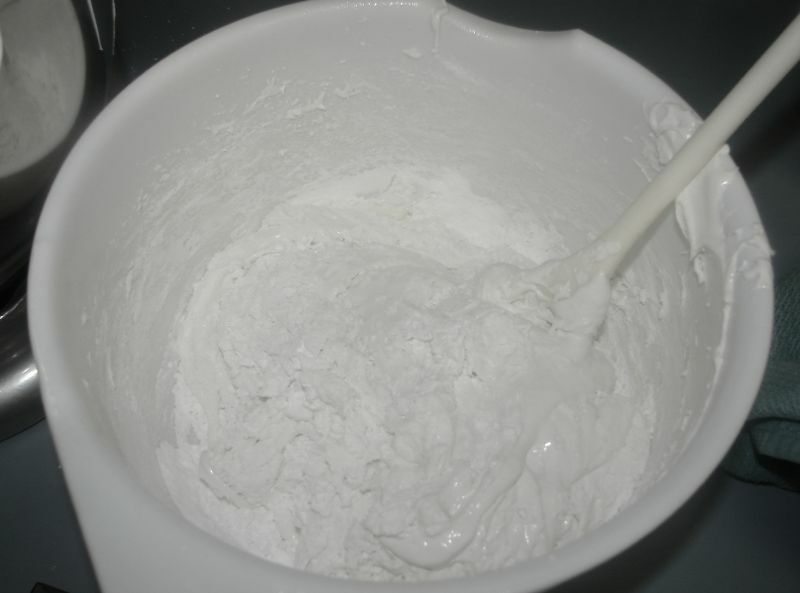 Start mixing with a large spoon and add additional cups of confectioners sugar until the mixture is a workable fondant. You may need at add additional cups of confectioners sugar, add enough until you can handle without it sticking to your hands. Then on a clean working surface, I prefer parchment paper, knead on a surface coated with confectioners sugar until it reaches the proper consistency. Once you are ready to work with fondant, use vegetable shortening to grease the surface you are working on and grease your hands. This will work well, it wont stick to the surface or your hands. You can add food coloring of your choice, I prefer gel coloring so it doesn’t change the consistency of the fondant. Also, if you grease your hands with vegetable shortening while adding color, it won’t stain your hands. This is a cake that was covered with marshmallow fondant. This was just a practice home cake that fell apart and the marshmallow fondant held it together well. Having a cake taste just as good as it looks is very important! TIP: When using corn syrup, spray measuring cup and spatula with non-stick cooking spray. This will so the syrup doesn’t stick and pours easily.